Years ago, post “Martin Luther King” and the civil rights movement, Japanese Americans and Chinese Americans were “waking up to their roots” and rediscovering their identity. Prompted by the Black/African American community, they united together in a new found sympatico relationship as “Asian Americans”. The movement took root on college campuses across the United States, but was spearheaded by student activists at UC Berkeley, San Francisco State, San Jose State, and UCLA. Rather than focus on the characteristics that divide, they coalesced under shared cultural experiences: discrimination, poverty, “invisibility” to mainstream media, and the urge to craft a new, positive identity. Thus the movement spawned new arts, musics and other creative expressions that were melded together from the experiences of their ancestors and the shared experiences of the youth of that era. The birth of artists and organizations such as Taiko (San Francisco Taiko Dojo and others), Asian American Jazz Festival, Asian American Dance Collective, Asian American Theater, East West Players, and Visual Communications rallied the young students to a new and different tune. The widely popular Asian/Jazz fusion band, Hiroshima, was one of the first breakout bands to reach mainstream audiences. From New York, the album, “Yellow Pearl” by Chris Iijima and Joanne Miyamoto with Charlie Chin was hailed as the first “voice” of the Asian American movement. In the San Francisco Bay Area, another group, Yokohama California, wrote songs of the Japanese and Asian American experience. 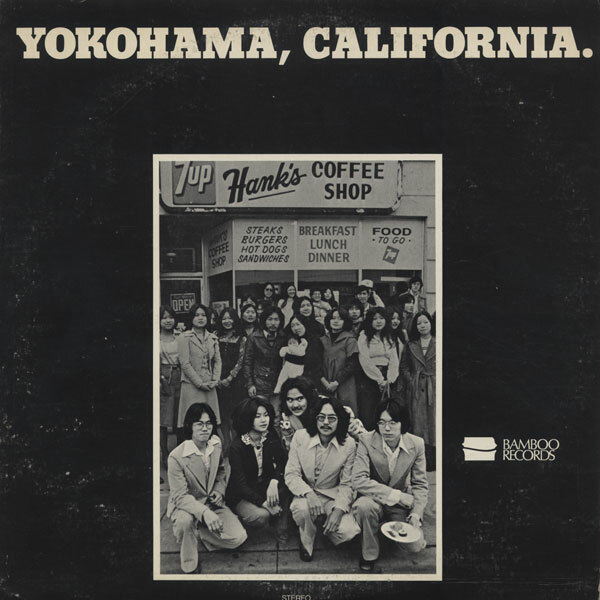 In 1977, we had the opportunity to record the group Yokohama California (Bamboo Records) and bring them to the young college audiences. A more “folk” oriented style, they recorded a haunting piece entitled “Hot August Morning” which tells the story of the bombing of Hiroshima. Now, relegated to the annals Asian American history, Yokohama California was rediscovered by professor Minoru Kanda, a historian, lecturer in Nara, Japan who has rekindled interest in the history and evolution of Asian American music and culture and has presented it to universities throughout Japan. I was contacted by professor Kanda to attend and participate in a special seminar to be conducted at the International House in Tokyo, October 13, 2012. Realizing that Japanese and Japanese Americans have an opportunity to share their collective experiences Professor Kanda hopes that opening up the dialog will bring a new sense of understanding and will be a positive step towards global collaboration. Steve, Nice narrative on the turbulent times we lived through, what with the civil rights movement, the anti-war movement, Black Pride, Asian-American identity… and this volatile environment was the crucible for inspiring many new arts and artists. Congratulations on being recognized for being part of that movement!